The Department of Medicine, St Vincent’s Hospital recently hosted a Clinical Practice and Research Symposium in partnership with St Vincent’s Hospital. 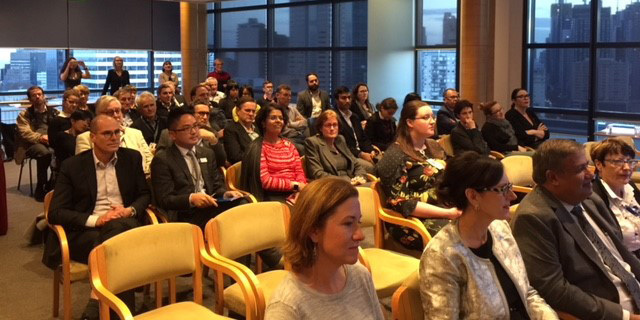 The event included fascinating presentations around workplace resilience, medical teaching and feedback, career capacity building and exciting research funding opportunities. Presenters included Catherine Jones of St Vincent’s Hospital, Associate Professor Justin Tse, Director of Medical Student Education at the St Vincent’s Hospital Clinical School, Professor Elizabeth Molloy from the Department of Medical Education, Professor Cheryl Jones, Executive Director of the Melbourne Academic Centre for Health (MACH), Heather St John, Director of Medical Research Future Fund (MRFF) Initiatives at the University with the evening being closed by the Faculty’s Dean, Professor Shitij Kapur. 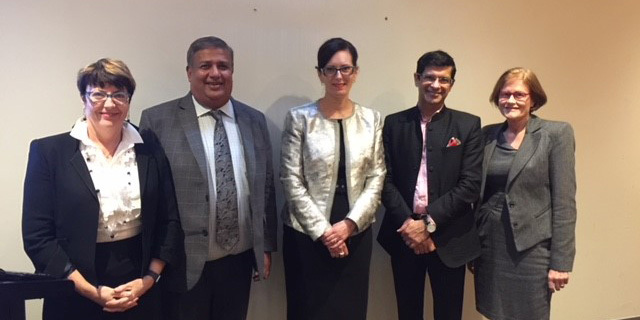 The evening was co-hosted by Angela Nolan, CEO of St Vincent’s Hospital and Professor Kumar Visvanathan, Deputy Head, Department of Medicine, SVH. 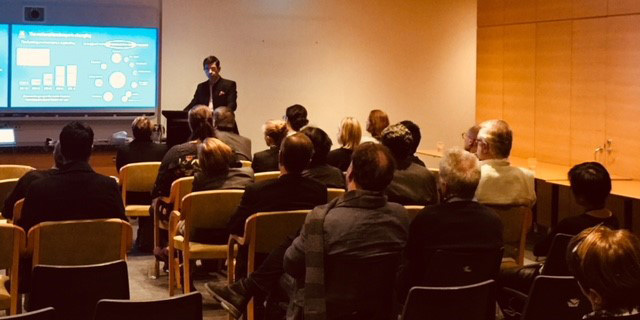 Attendees ranged from Hospital junior and senior staff to medical students and University researchers, as well as academic staff from our affiliated institutes including the Centre for Eye Research Australia and St Vincent’s Institute of Medical Research. This will be an annual event on the Hospital and University calendar, and we look forward to future years and further exciting collaborations between the Hospital and University that are fostered by such events.